After five days of exciting racing in Redlands, California, 24 year old Tayler Wiles came away with the overall victory and arguably the biggest result of her short career. 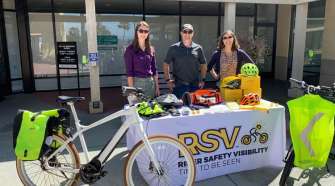 “Winning the overall at Redlands was a big goal of mine for this season and I’m super excited that we were able to pull it off,” she said. The race started with Tayler finishing third in the time trial and trailing Alison Powers by 40 seconds going into stage two. “I was pretty disappointed with my time trial but the team really believed in me and backed me up from day one. Each day we chipped away at the big goal,” she added. With a successful attack on day three with teammate Karol Ann Canuel, Wiles was able to upset the GC moving Powers out, but still had 17 seconds to make up on Optum’s Leah Kirchmann going into the penultimate stage. Kirchmann’s impressive win in the criterium meant that Tayler needed to make up 29 seconds in the final stage. The final stage is the challenging circuit race around Sunset loop. The team set out to make the race hard and get the Optum team working hard and eventually get Tayler away. It was teammate Ally Stacher who established a very solid break that set things up for the action later in the race. When Ally was caught with three laps to go the team set up the counter-attacks. Tayler was able to counter a great attack by Karol Ann and got away with Mara Abbott. The pair got a quick gap which proved to be the winning move. Abbott won the stage and Tayler the overall. In the men’s race, Travis McCabe (Smart Stop) had the slimmest of margins leading to the final stage. McCabe and his Smart Stop team had only a 27 second margin on the top 10 in the field. 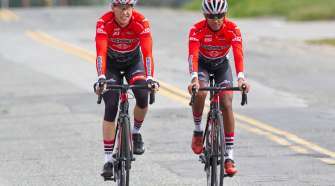 The warmer temperatures and winds on Sunset set up a game of attrition and when the moment was right Joseph Rosskopf of Hincapie Sportswear Development got in a break of four. Travis McCabe and the Smart Stop team fought to the end but Rosskopf took the virtual yellow and won the stage and the classic. Joseph Rosskopf move paid off and he finished ahead of the field. That gap was more than enough time to take the yellow Jersey from Travis McCabe. The stage victory on Citrus Avenue in front of the cheering crowds was the cherry on top. The final stage GC results were winner Joseph Rosskopf (Hincapie Sportswear Development), 2nd place James Oram (Bissell Development Team) and Travis McCabe (Smart Stop) in 3rd place. 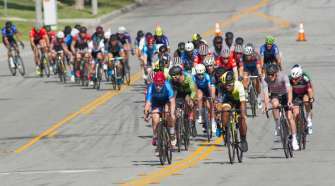 With Rosskopf ‘s gap and time bonus for the win, Rosskopf moved into the Overall lead for the race to take the title ahead of 2nd place Sunset Road Race finisher James Oram, who also placed 2nd Overall. 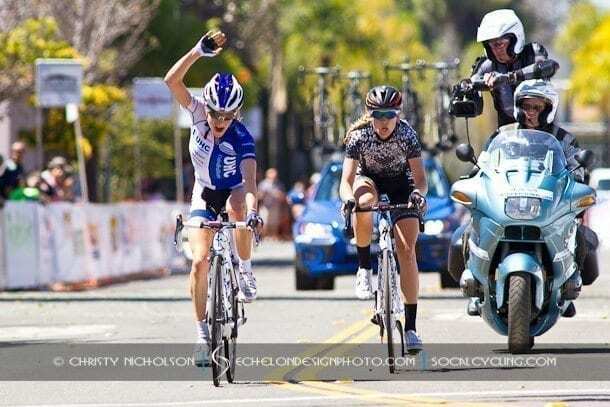 Check back to SoCalCycling.com and EchelonDesignPhoto.com for photo galleries from the Criterium and Sunset Road Race.